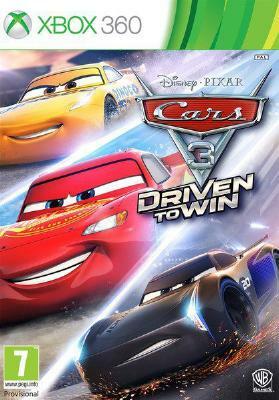 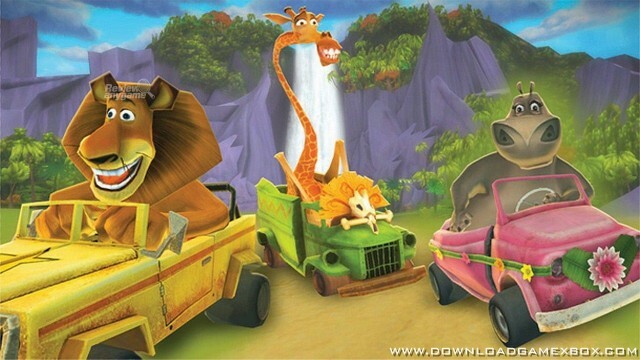 Jump behind the wheel and drive yourself wild as you play as Alex, Marty, Gloria, Melman, King Julien or those crafty penguins! 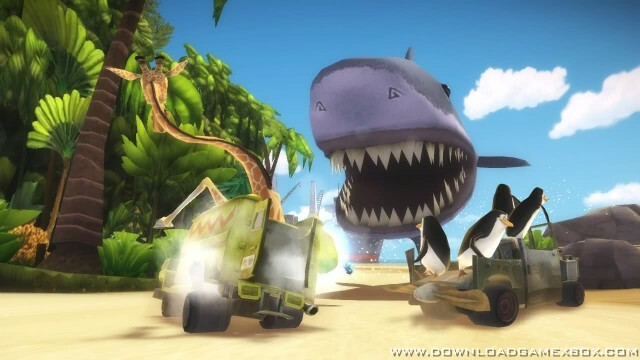 You can power-up and perform zany jumps, outlandish flips, and radical rolls on amazing tracks from the world of Madagascar, including the New York City Zoo, the plane crash site, the volcano, plus many more. 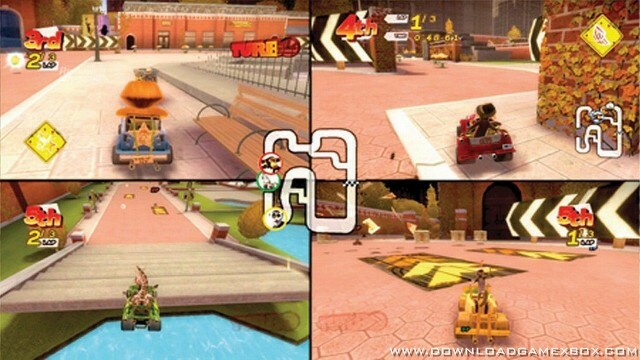 Keep an edge on your wild competitors with cool pickups, such as power boosts, obstacles, and projectiles. 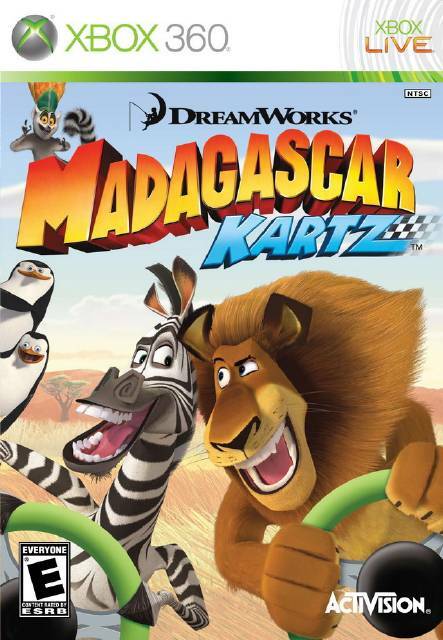 DreamWorks’ Madagascar Kartz features split-screen head-to-head multiplayer action, allowing up to four players to go bananas and race locally against one another in Championship, Quick Race and Time Trial modes.